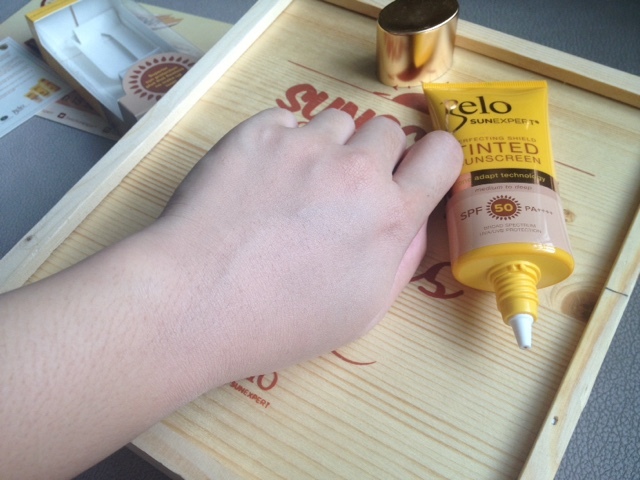 Belo SunExpert Tinted Sunscreen* | Vanity and Everything in Between. During our family's summer trip last April, I brought with me the whole range of Belo sunblocks - face, body, body mist, and spray! I also brought with me their latest addition to the family which is the tinted sunscreen. Come to think of it? 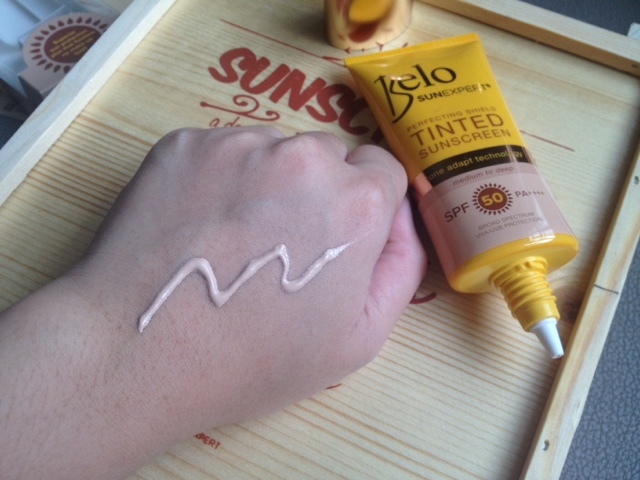 I don't remember if I've ever tried a tinted sunscreen before. A usual sunscreen or sunblock comes in a squeezable tube but Belo comes with a nozzle tip. Very hygienic. It comes in one shade, Medium to Deep. Although the shade doesn't really matter because it's light enough and fades when blended to your skin because of its tone adapt technology. This sunscreen has SPF50 thus the white cast you can see at the back of my palm. 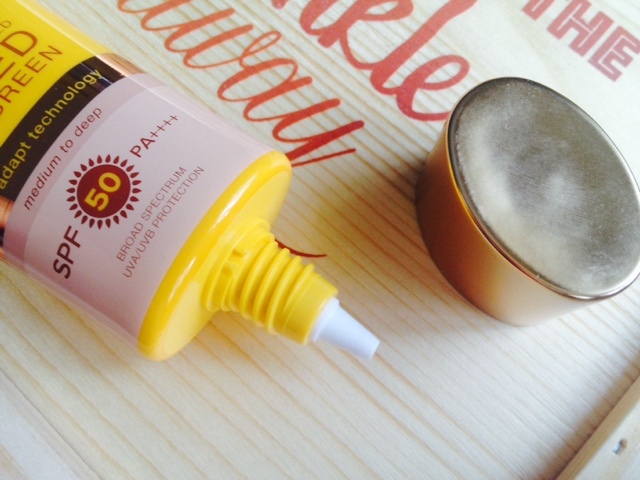 SPF50 is the common SPF I can see on BB creams and CC creams. I think it would have been better if they made the SPF higher. The photo below is my photo before applying the sunscreen on my face. 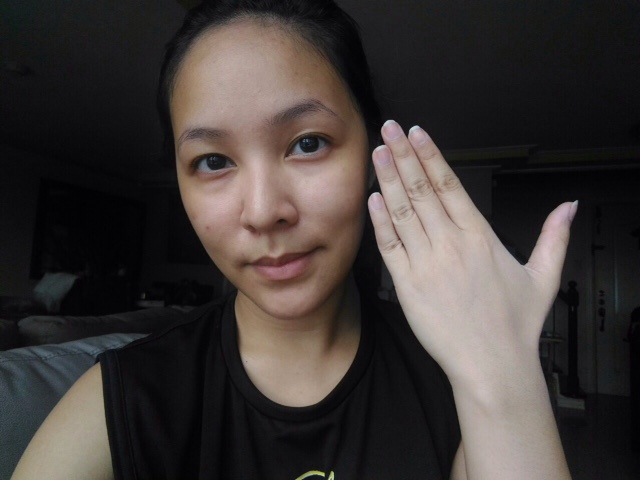 My hand is beside my face so you can see how it somewhat made my skin lighter (cos of the SPF). I'm still tanned, btw. Now, here's a photo of me with the tinted sunscreen applied on my face. 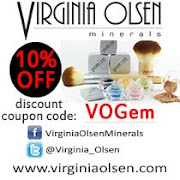 It did make my face lighter/whiter. I actually like it because it's like having my original skin tone back. 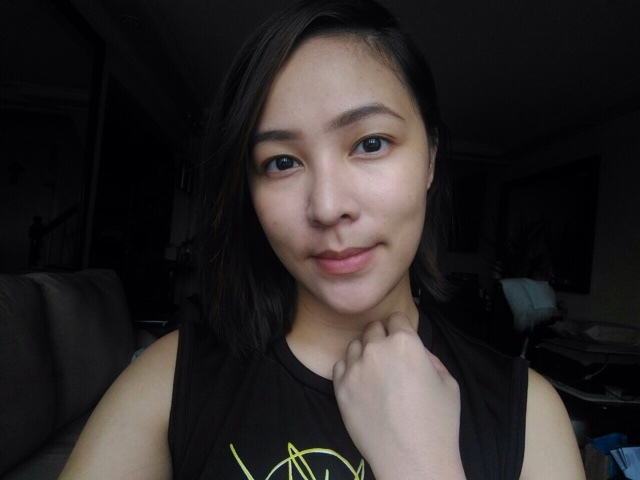 It wasn't able to cover the blemishes on my face but it did lessen the redness. Here's the deal. During the first two days in Palawan, my face didn't get darker or anything when I used this. I totally forgot to use this though n our third day when we spent the whole day swimming in the beach. Sunburn kung sunburn! While I loved my tan lines, it's already June and tan lines no longer look cool. Haha! I was able to try this for free courtesy of Sample Room. 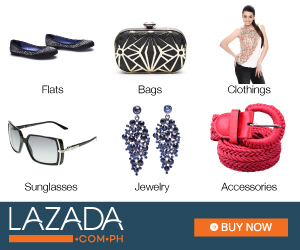 To try free beauty products, head on to sampleroom.ph and check their latest listing of free products! 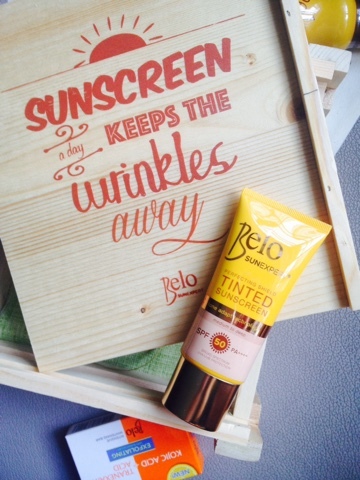 Belo SunExpert Tinted Sunscreen retails for PHP449.75 (50ml) and is available at all leading department stores nationwide.